Passionate writer on National Security related issues, Brig Hemant Mahajan YSM (Retd) is M Sc, M Phil in Defence Studies. He joined IMA Dehradun in July 1973 and passed out as a Commissioned Officer on 15 June 1975. He was commissioned into 7 MARATHA LIGHT INFANTRY. He has served extensively in Counter Insurgency Operations in Insurgency and Terrorist prone areas of Jammu & Kashmir, Punjab and North East and has taken part in all important operations undertaken by the Army since 1975. Brig Hemant Mahajan served in Jammu & Kashmir, in the deserts of Rajasthan, in Super High Altitude areas of Kargil and Leh, forward areas of Arunachal Pradesh. He was deployed in Punjab in ‘Operation Avert’. He was also involved in maintaining peace post ‘Operation Bluestar’ days in Punjab in the worst affected district of Gurdaspur, Taran Taran and Amritsar.He served in the areas of Darjeeling, Kurseong, Siliguri and Sikkim. He commanded his battalion 7 MARATHA LIGHT INFANTRY in Operation Rakshak in the most difficult areas of Poonch and Rajouri during the times of highest militancy. His unit was responsible for stopping terrorists from Pakistan into Jammu and Kashmir. His unit was awarded Unit Citation, 18 gallantry awards including YSM (gallantry) for the officer. The All India DGPs Conference held at Kevadia ended 25 Dec, the main focus remained on coastal security. A proposal to set up force like The Border Security Force (BSF) to man the coastline was discussed. In the recent past, the Indian Coast Guard .. This year's defence budget accounts for 12.10% of central expenditure.The defence budget includes a capital outlay of just Rs 99,563.86 crore for new weapon systems and modernization, which is dwarfed by the revenue expenditure (day-to-day running ..
Police, Naval and ICG leadership should be able to give clear directives to intelligence organization for acquiring actionable intelligence and act upon it. Intelligence collection is a formidable challenge which must be met head on to secure our ..
About two to six months before the 26/11 Mumbai attacks, RAW had intercepted several telephone calls through Signal Intelligence(SIGINT), which pointed at impending attacks on Mumbai hotels by Pakistan terrorists, however, there was a coordination .. The need of the hour is joint man ship between Navy, Coast Guard, Police, Intelligence agencies and various Government ministries. After all can we have a repeat of 26/11?.. Lakshadweep Islands form an important surveillance base & base for security forces (for army ,navy,airforce & many others) to protect India. ..
Brig Hemant Mahajan writes about National security & mad race for TRP ratings..
Brig Hemant Mahajan tells us Indian Military needs large budget increase ..
Brig. Mahajan remembers real heros of India..
Part 3: Are Police Prepared? Part -III ARE POLICE BETTER PREPARED FOR URBAN TERRORISM? analyses Brig. Hemant Mahajan - (Conclusion)..
ARE WE SAFER THREE YEARS AFTER 26/11? REVIEW OF COASTAL SECURITY PART 4 BY BRIG HEMANT MAHAJAN, YSM, (RETD) Part 4 Disinterested politicians, powerful bureaucracy building its own kingdoms, generic intelligence, corrupt customs ..
ARE WE SAFER THREE YEARS AFTER 26/11? REVIEW OF COASTAL SECURITY..
Brig. Hemant Mahajan asks even after three years of the 26/11 attack, ARE WE ANY SAFER?.. MANIPUR A FAILED STATE? 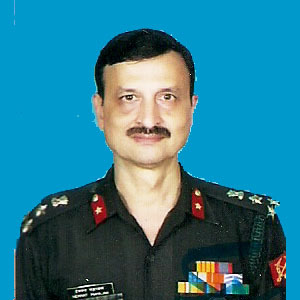 The insurgency in Manipur has, over the years, become increasingly homicidal, and trends in 2011 only demonstrate a further acceleration says Brig, Mahajan ..
Interview of Brigadier Hemant Mahajan on Indian weapon modernisation plan and strategic prepredness and political enthusiasm to strenghthen Indian Armed forces.. The coastal security is layered with the various stakeholder operating as follows:- · IndianNavy forms the outermost layer where IN ships and aircraft patrol the waters well beyond the Indian mainland/islands. The ICG forms the second layer with ..
Is it not the responsibility of all the political parties, the social, print and the electronic media to respond to such agitations in a responsible manner and not compete with each other for vote bank politics inciting further violence? Asks Brig ..
Never before has India hosted so many presidents and prime ministers at one go in its annual showpiece event. That ASEAN responded unanimously to Prime Minister Narendra Modi’s invitation to participate as a combined chief guest in such a seminal .. It is evident that maritime asymmetric challenges and threats require a sophisticated strategy that pivots on domain awareness, an effective intelligence apparatus, and a credible armed response. Many steps have been taken in the last many years ..
A comprehensive book by Brig. Hemant Mahajan on “India’s Coastal Security, Challenges, Concerns & Way Ahead” should be read by all, including the security forces, policymakers, corporate, security experts, technology providers, and much more. This .. The situation changed drastically following the 26/11 terror attacks in 2008. The Centre compelled all the coastal states to build coastal police stations and raise marine police forces. Tardy implementation ensured that the marine police remained ..
India has made significant progress to improve coastal security after the 26/11 terror attack, in which 10 Pakistani terrorists came undetected by sea to unleash mayhem in Mumbai. But more efforts are needed to reduce the country's vulnerability ..
China has intruded Indian territory of Ladakh region up to 10 KMs inside & seating there from last two weeks. Brig Hemant Mahajan analyses the provocative events… ..
Modernising Indian Armed Forces does not seem a priority of politicians. This ignorance may result in a disaster for the nation, if a full fledge armed conflict arises, as both our hostile neighbors are way much ahead in modernizing their armies. ..
Brig. Hemant Mahajan writes about the Maoist kidnapping..
Brig. Hemant Mahajan is telling us about the spread n reach of Maoism..
Bad governance & extortion raj : Brig. Hemant Mahajan looks at the North Eastern scenario..
WILL CHINA THREAT LAST 2 YRS? Finance ministry stalls military expansion. Article by Brig. Hemant Mahajan..
Part 2: Are Police prepared? Part - II - Lessons of 26/11: Are Police Better Prepared For Urban Terrorism? by Brig. Hemant Mahajan.. THE DEFICIENCIES OF COASTAL SECURITY - Brig Hemant Mahajan,YSM,(Retd)..
Brig. Hemant Mahajan suggests that Chief Of Naval Staff should be maritime security advisor. Indian Navy should take over coastal command..
Brig. Hemant Mahajan asks Will more 26/11 happen? Is Govt missing out on real security challenges?.. First remove personal security of kashmir politicians & then remove AFSPA - Brig. Hemant Mahajan..